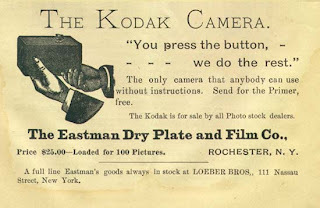 Where did it go wrong for Kodak? Their company was founded on incredible technical innovation that met a huge consumer need. They continued innovating throughout their history. They were consistent advertisers, developing memorable emotional pitches that drove their market share to near monopoly status. In 1976 they sold 90% of the film and 85% of the cameras in America. They leveraged their expertise into new categories like videotape and memory cards. And while they may have been a little late to the party, it wasn’t as if they ignored the digital revolution. In 2005, four of every ten digital camera’s sold in the U.S. was a Kodak. They developed the first camera/printer dock, the first WiFi enabled camera, in 2006 they introduced the smallest 10x optical zoom camera. And now, just six years later they stand on the brink of bankruptcy while Nikon and Canon continue to sell on the high end while every smartphone and tablet has a camera function. This is a tough one to figure out, but here goes. They were too busy listening to what people said and not actually understanding what they really wanted. Kodak built their business on preserving memories. Yet, while most people have albums and keep some pictures for the long term, today photography is really about sharing moments. Yes, we can still go back and look at our pictures. 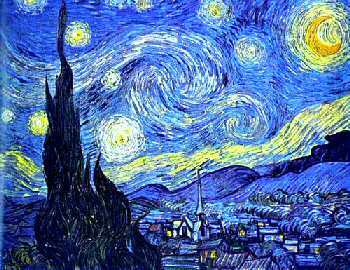 But in the main, photographs are no longer meant for albums or frames. We’re happy to take a quick shot of questionable quality and then hit share button, uploading it immediately to Facebook, Photobucket or Twitter so our friends can see what we’re up to now. Kodak missed that. While they engineered ever more elaborate cameras and sensor systems designed to improve the image quality, the market was running the other way fast. So now another great American brand is disappearing. And I for one, will miss them. It’s good, but is it original? Is it a case of plagiarism or coincidental creativity? 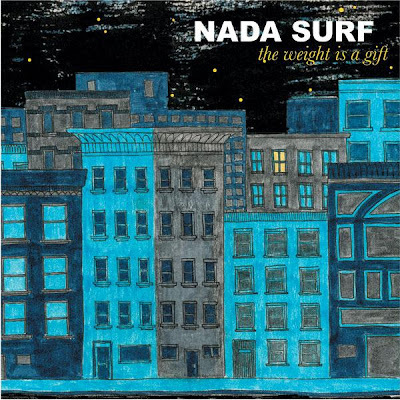 After universal praise for the ad featured in yesterday’s post, my friend Gene share this cover from the 2005 Nada Surf album, The Weight is a Gift. Unless I travel to Brazil and confront the creative team – which wouldn’t be easy given my level of proficiency in Portuguese – we’ll never know. The illustration styles are similar. The color palette is the same. 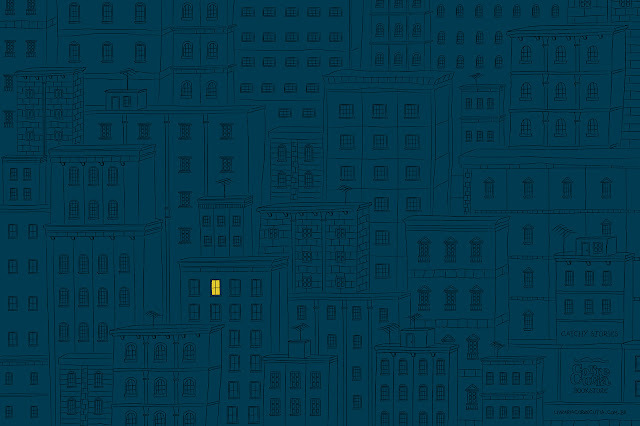 In both illustrations the only lit window is the second from the left. While the styles are similar, they’re not that unique. There are a lot of freehand pen and ink cityscapes out there. 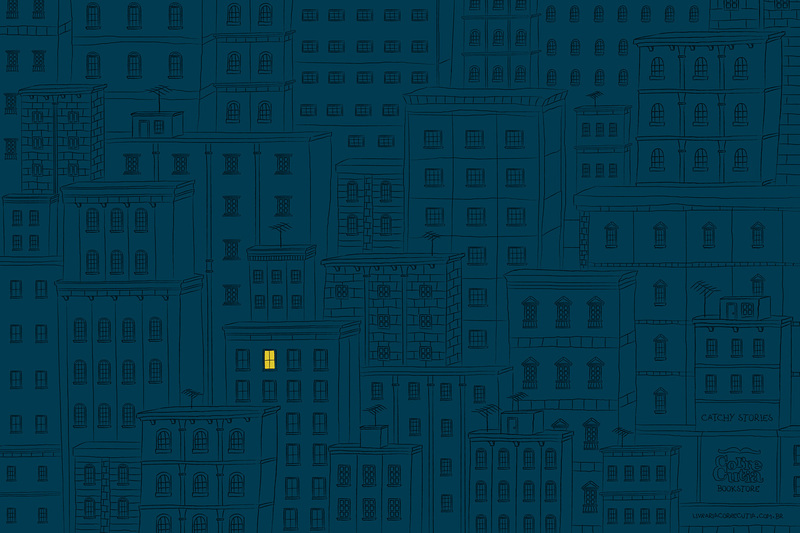 As for the cool blue tone of the evening light, I don’t think the illustrator for the album invented that convention. Yes, the images are similar. But this wouldn’t be the first time two people have hit on the same idea years apart. If it’s plagiarized, at least the Corre Cutia ad is good. When your target is literate and understands the concept of metaphor, you can do a lot more with your advertising. Or as this ad demonstrates, less. This insightfully concepted, beautifully illustrated ad for Corre Cutia Bookstore in Brazil captures the universal benefit of a great book in one simple visual. Just as important, it communicates why Corre Cutia is different from big box book and toy sellers. From what I can gather of the google translation of their website, Corre Cutia was founded by psychologists who wanted to provide a fun and nurturing environment that also sold books and toys. I hope they are successful, if only because it means we’ll get to see more ads like this. Thanks to Andy Wallman for the tip on this one. If you want to see a hi-rez image of the ad, go here.